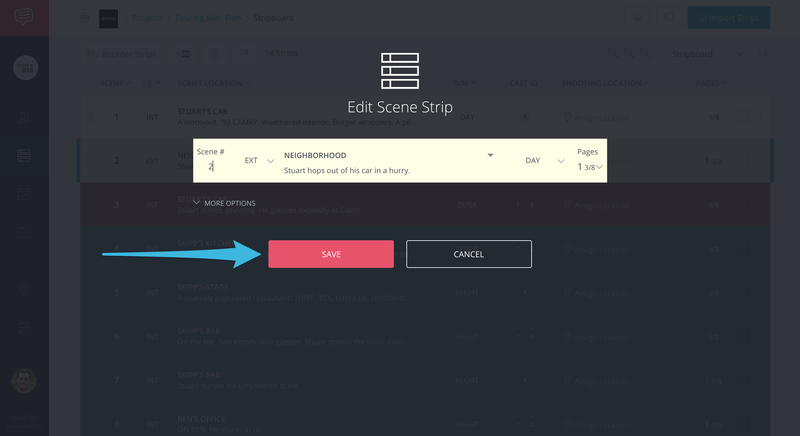 Learn how to edit a scene strip on your stripboard. Editing a scene will provide options to change the scene number, change interior and exterior scenes, update scene headings and descriptions, change the time of day the scene will be shot, page count, assigned cast members, and a shooting location. On your Stripboard page, click the more icon and click Edit Scene. 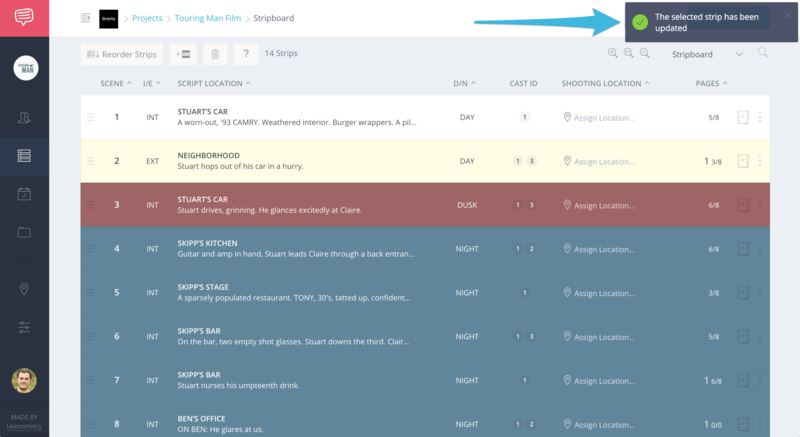 In the pop-up, you'll be able to adjust the Scene Number, INT/EXT, Scene Setting, Scene Description, DAY/NIGHT, Page Length, and even edit Scene information. Once you're done, just click Save. 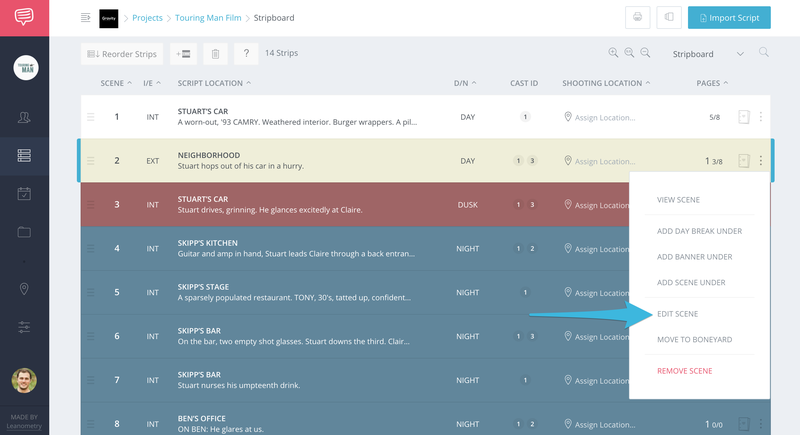 Tip: Are you looking to estimate setup time for each scene? This is figured out by counting the Pages within each scene. Can I edit the script once it's imported? Due to potential formatting errors of your script, there might be a time when you'd need to edit the script after it's imported. Whether it's editing a typo from your script, or an even bigger change. If you want to just fix that section, just edit the scene and the screenplay will be editable inline. Is there a way to change the color of Scenes or Banners? If you're looking to change the color of a Scene, i.e. "Day" Scenes being yellow), currently there is no way to change this color. Can I undo any changes I make on the stripboard? Currently, we don't provide a way to Undo any changes on the stripboard. However, you can easily roll back to a previous Version of your shooting schedule.